Life as a gay, lesbian, bisexual, transgender, or queer Muslim -- impossible you say? Life as a gay, lesbian, bisexual, transgender or queer Muslim -- impossible you say? The recent mass shooting in Orlando certainly perpetuates the notion that these two identities are absolutely incompatible, indeed mutually exclusive. After all, terrorist Omar Mateen picked the Pulse as his target because it was a gay club and he pledged allegiance to ISIS via a 911 call during the attack. Despite what misinformed ideologues would have you believe, ISIS represents Islam no more than the KKK represents Christianity. Both are vile, hateful, and politicized expressions of “faith.” Yet, the killing, imprisonment and torture of LGBTQ Muslims are not only the work of ISIS. In around 10 of the 50-plus Muslim-majority nations in the world, homosexuality is considered a capital offense. Governments in Iran and Saudi Arabia routinely condemn their LGBTQ citizens to death. Just as gay, lesbian, bisexual, transgender and queer Christians and Jews struggle to affirm their sexual, gender, and religious identities, LGBTQ Muslims also struggle. And at this sad juncture in American political life, when attacks on Muslims are at an all-time high, this struggle is particularly stark. In their public statement following the Orlando terrorist attack, The Muslim Alliance for Sexual and Gender Diversity notes that individuals “living at the intersections of LGBTQ identities and Islam… are doubly affected” by the recent shootings. As our nation mourns, we gain insight about identity, politics, love and courage from conversing with Muslim LGBTQ activists. The following reflections from two Philadelphia-based Muslim LGBTQ activists serve as a case in point. Sahar Ali Deen, 26, grew up in New York and moved to Philadelphia four years ago for graduate school. In 2013, he founded the social media advocacy group OUTMuslim. I was raised in a moderately strict Muslim family and was outed at my religion school and public school around the age of 12. My most vivid memories of this part of my life are of being teased and bullied. This coupled with living in a post- 9/11 America shaped my attitude toward approaching life more than anything I learned at either school. If this horrific massacre can teach us anything, it is that we need to unite as humans more than anything else. Polarity is extremely dangerous, and can be unfortunately tempting in times of crisis. There are many Muslims who argue that being homosexual negates a person’s claim at being a Muslim. These are based on biased interpretations of scripture. Many, many LGBT practicing Muslims, including myself, prove that notion wrong. 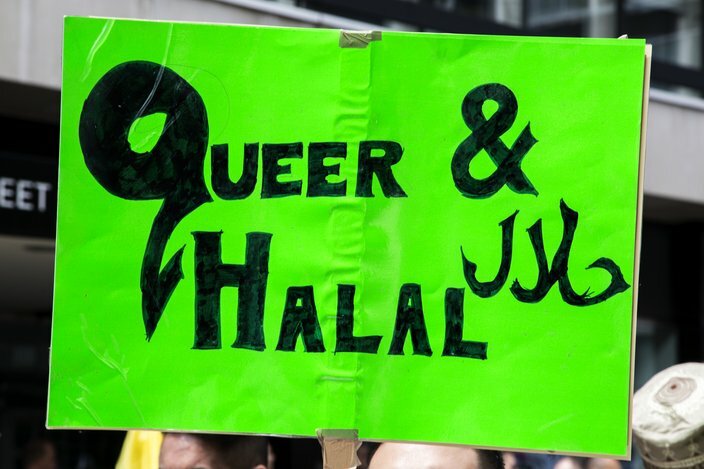 It is also important to understand that LGBT is not a single identity in itself -- there are as many different kinds of queer Muslims as there are [straight] Muslims. And there are as many kinds of Muslims as there are people. At my core, I am an advocate and always have been compelled to speak up for those who may not be able to speak for themselves. I manage social media advocacy pages calling for the inclusion of queer Muslims within mainstream Muslim communities. For example, OUTMuslim is a social media outlet where news relevant to the LGBT Muslim community is shared and discussions occasionally take place on Twitter and Facebook. I hope to grow [OUTMuslim] into a more comprehensive platform where I can showcase the lives of Queer Muslim Role Models for those around the world who may need examples of hope. When [news of the Orlando shooting] finally sunk in, it was strikingly reminiscent of the morning of September 11. It is one thing to be an American and cope with the attacks and another to be a Muslim American. In the case of the Orlando attack, there was yet another layer of my identity being put through the ringer. Currently, I am struggling with figuring out how to stay true to the instinctive advocate within me while respecting the privacy and safety of my family. But my struggle is nothing next to the [Orlando] victims and their families. If this horrific massacre can teach us anything, it is that we need to unite as humans more than anything else. Polarity is extremely dangerous, and can be unfortunately tempting in times of crisis. To cling to one identity is also to establish what you are not. Tragedies like this may create the need to place blame in order to make sense of something so mindless. I hope we can focus on what brings us together in a time where many of us are in need of the sense of community and hope. I am an American-born queer Muslim of Pakistani descent who was raised in the rural South. 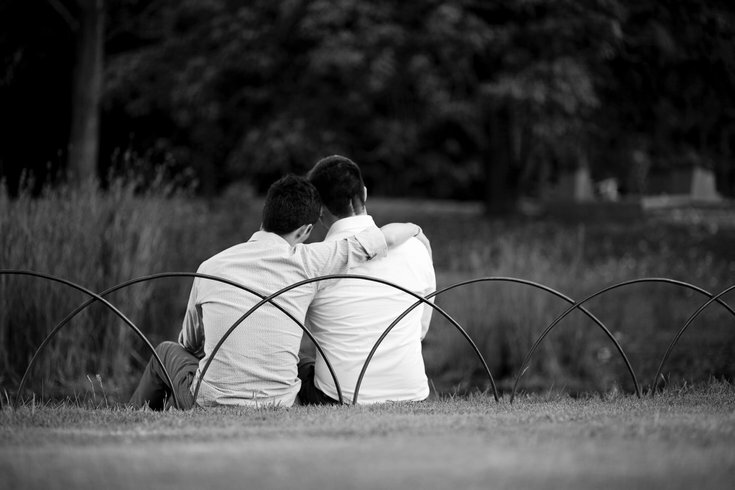 My life as an LGBT Muslim has been a precarious one, but I wouldn't have it any other way. I have found myself feeling unwelcome in Islamic spaces due to my LGBT identity, and I have also found myself not fitting in in many LGBT spaces due to my Islamic identity. I have experienced homophobia from Muslims who've been taught to be homophobic by religious leaders, and I have experienced Islamophobia from members of the LGBT community whose only exposure to Islam has been what they've seen on the news about the conflicts in the Middle East. As a result, for a long time, I struggled to find a community that felt like my own. I want people to understand that our existence is not a contradiction. We aren't bad Muslims. Islam is not a monolith. Varying versions of LGBT-ness have existed in Islamic societies since the very beginning of Islam. The summer before my junior year of college, I attended the LGBT Muslim Retreat. It transformed me; it renewed my faith, and it helped me reconcile identities that I had previously thought were at odds with each other. The amazing people there showed me that I could live happily as both a Muslim and an LGBT person with both of my identities in harmony. Of course, I do still experience both homophobia and Islamophobia. However, I am at peace with myself, which was a major milestone for me to achieve. I was in my apartment, getting ready for bed when I saw news headlines about a shooting in a queer nightclub in Orlando, and that shocked me. The next morning, I found out that someone with a Muslim name had committed the attack, and it was absolutely heartbreaking. I was incredibly disturbed. It was as if a part of me had harmed another part of me - someone from one of my communities had done a great deal of harm to members of another one of my communities. My immediate concern, of course, was for the wellbeing of the victims and their families. However, I also felt fear and anger. I wondered if I would no longer be able to call LGBT spaces safe spaces because I might be shut out by Islamophobia. I wondered what the backlash would be like toward the rest of the Muslim community, and I wondered how other LGBT individuals would perceive their safety in traditionally safe spaces. Never has an attack hit this close to home. It is paramount to avoid creating a narrative of Islam vs. the LGBTQIA+ community. That narrative pits two vulnerable minorities against each other, ultimately doing no good for either community. That narrative erases the positives of over a thousand years of coexistence and unique queer expression in Islamic societies, and it also minimizes the effects that colonialism has had on Islamic societies. Such a narrative erases those of us who fall in between - the queer Muslims. It erases the work that we have been doing for decades, even centuries, in our communities around the world. I want people to understand that we exist. I want people to understand that our community is as diverse as any other. We are doctors, lawyers, receptionists, artists, and teachers. Some of us pray five times a day; others don't pray at all. Some of us were born into the faith, but many of us were converts. I also want people to understand that our existence is not a contradiction. We aren't bad Muslims. Islam is not a monolith. Varying versions of LGBT-ness have existed in Islamic societies since the very beginning of Islam. The Qur’an teaches: “Whoever kills an innocent life it is as if he has killed all of humanity.” While ISIS supporters, as well as, homophobes across the religious spectrum applaud the horrific acts of violence that befell the Pulse at 2 a.m. on June 12, those of us who affirm the existence of human rights lift up the teachings found in all of the world’s wisdom traditions that affirm the worth and dignity of every human being. Our hearts ache for those who were dancing one moment and then suddenly catapulted into a terrible and bloody form of hell on earth the next. We remember the victims. We cry. We mourn. And while we may differ with regard to how we put an end to domestic terrorism (“more commonly perpetrated by right-wing groups than by Islamic extremists”), people of good will everywhere strive to ensure that such unspeakable violence does not repeat itself. And as we strive, let us stand in courageous unity with our Muslim and LGBTQ communities. Let us stand in unity with those who have the courage to represent both.